The letters form the acronym for “Nes Gadol Hayah Sham” which translates "a great miracle happened there". 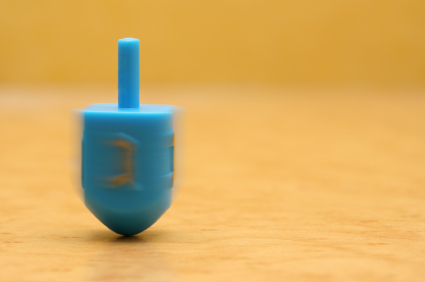 In Israel, the fourth side of most dreidels is inscribed with the letter פ (Pei), which changes the acronym to “ Nes Gadol Hayah Poh” which translates “a great miracle happened here," referring to the miracle that occurred in the land of Israel, the Holy Land. The situation there seemed dire and beyond hope. The commitment of a few people turned the situation around (like a Dreidel turns around) and brought out the miracle and God's salvation.